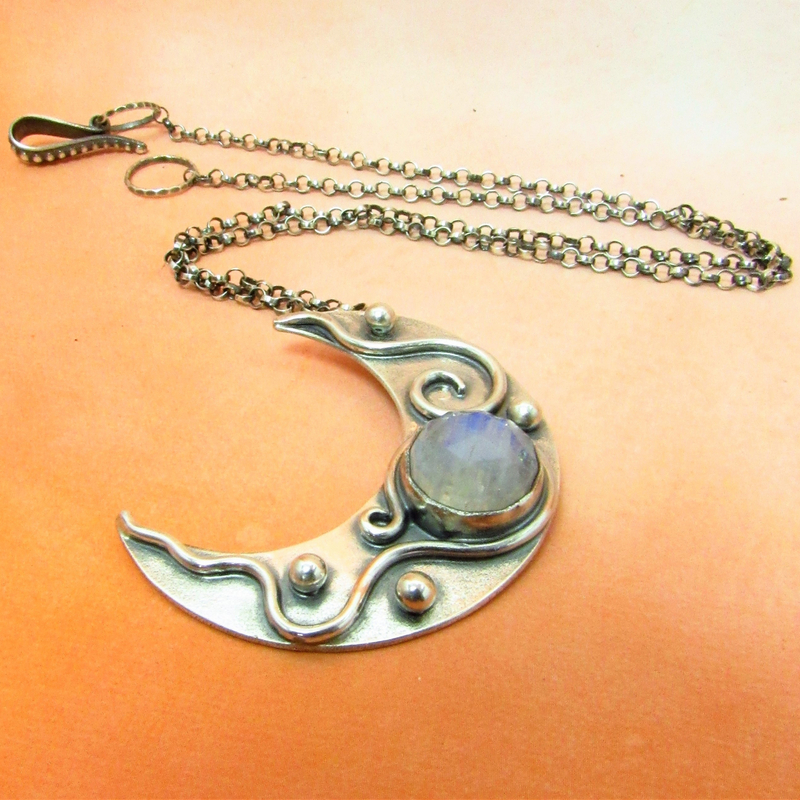 A wondrous rainbow moonstone is the centerpiece of this celestial necklace created from argentium sterling silver. 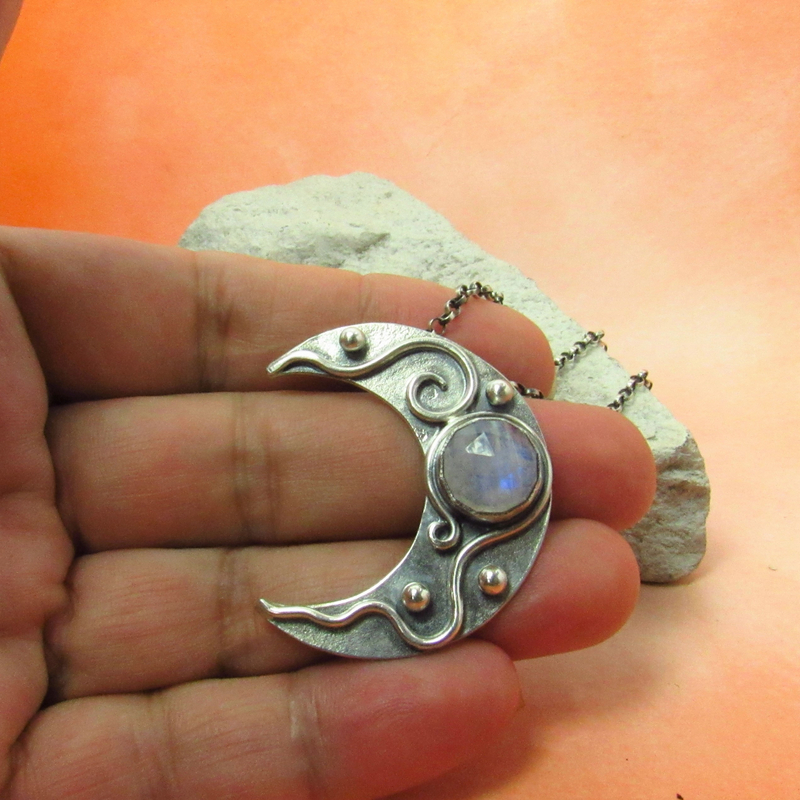 The rose cut moonstone is nestled in a fine silver bezel on a sterling silver crescent moon detailed with spirals and multiple orbs of silver. 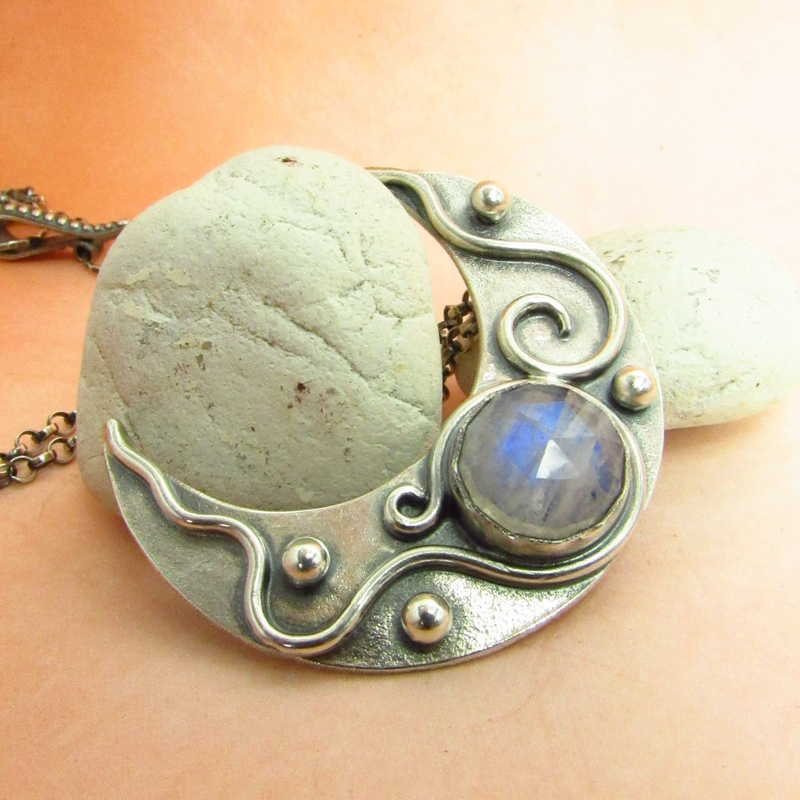 A piece fit for a goddess with its other worldly flashes of color emanating from the stone. A hidden bail on the back allows the chain to slide freely. 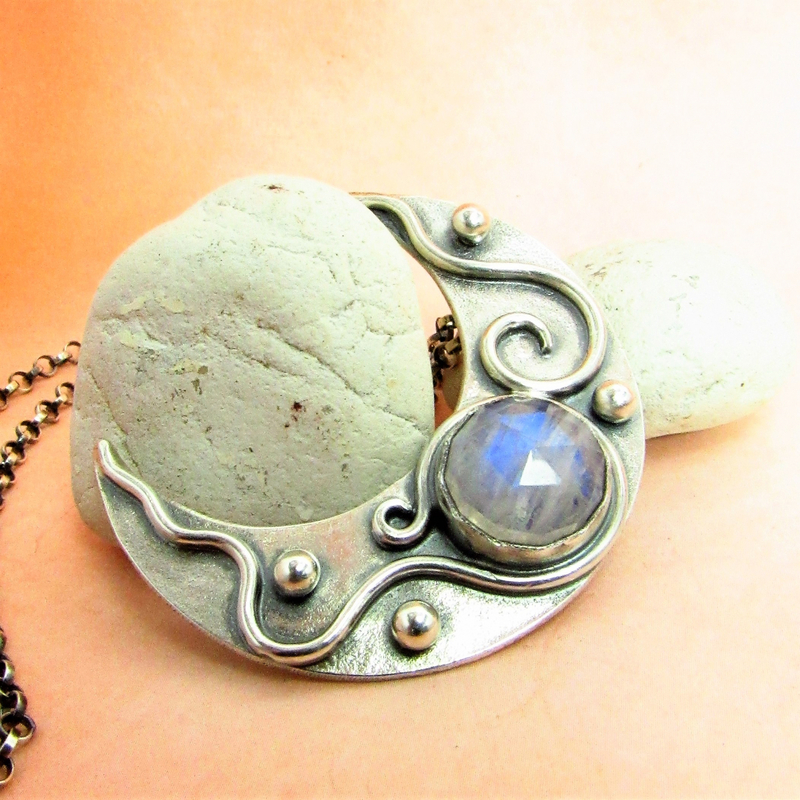 The pendant has a nice weight and measures 1.75" or 4.44cm tall and is a little over .5" or 1.27cm at its widest point. The well crafted, sturdy 2mm rolo sterling silver chain is 18" long. Handmade sterling clasp and findings. Oxidized and polished, ready to give as a gift to someone special including yourself! 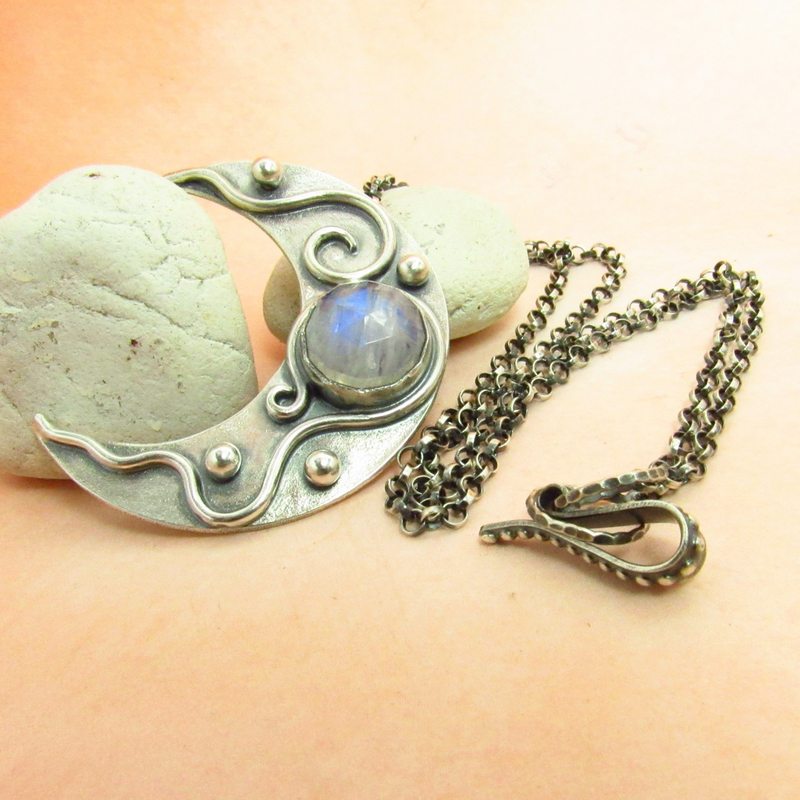 Artisan metalsmith jewelry from the Mocahete Studio built to last a lifetime and beyond.